Brian Lin is an ABEM-certified Emergency Physician. 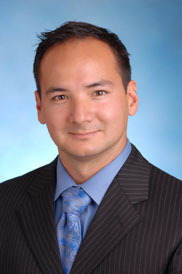 He graduated AOA from Mount Sinai School of Medicine in 2005. He completed Emergency Medicine residency at the Stanford/Kaiser program in 2008, after which he served for one year as the Academic & Administrative Fellow (formerly Chief Resident). He is currently in active clinical practice at Kaiser Permanente, San Francisco. He is a volunteer Assistant Professor at UCSF and regularly lectures to emergency medicine residents at the UCSF/SFGH and Stanford/Kaiser programs. Received the Outstanding Foundations of Patient Care Preceptor Award (2013), awarded by the medical students of UCSF. Served as an invited faculty at AAEM Scientific Assembly (2011), Cal-ACEP Yosemite (2013), UCSF High Risk Emergency Medicine (2012-2014) & ACEP Scientific Assembly (2011-2013). More recently, he has spoken at the Society for Emergency Medicine Physician Assistant (SEMPA) 2017 conference and was an invited guest faculty at the Universidad Católica EM residency in Santiago, Chile. This site was initially developed as an “on-the-fly” reference for physicians-in-training at his hospital to perform suturing techniques in the ED. The site continues to serve as a resource for Emergency Medicine physicians, residents, and medical students, as well as nurse practitioners and physician assistants, who deal with the care of traumatic lacerations. If you are interested in having Dr. Lin speak at your residency program or event, he can be contacted at brian.lin@kp.org.